A crash on the 401 Monday claimed the life of one person. It happened around noon on Highway 401 between County Road 42 and Queens Line in Chatham-Kent. OPP say that a passenger vehicle struck the rear of a tractor-trailer both travelling in the eastbound lanes. Douglas Hunter, age 56 of Glencoe, Alabama was transported to an area hospital but later died. 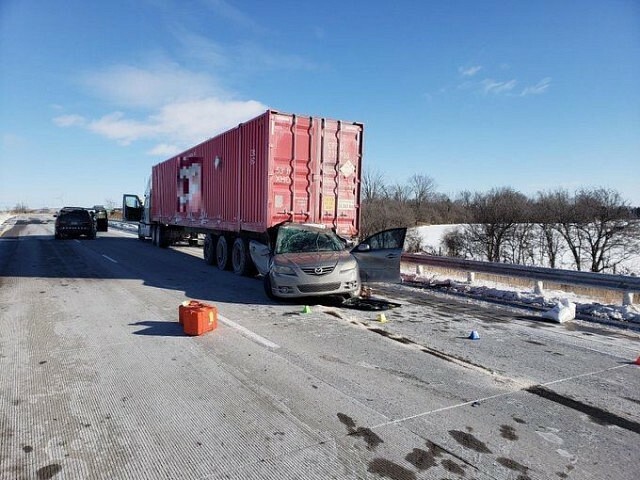 The driver of the tractor trailer was not injured and the highway was closed for approximately 6 hours while the OPP’s Technical Collision Investigators (TCI) completed the investigation.